Scientists say bees - crucial to pollinate many crops - have been hurt by a combination of declining nutrition, mites, disease, and pesticides. The federal plan is an "all hands on deck" strategy that calls on everyone from federal bureaucrats to citizens to do what they can to save bees, which provide more than $15 billion in value to the U.S. economy, according to White House science adviser John Holdren. 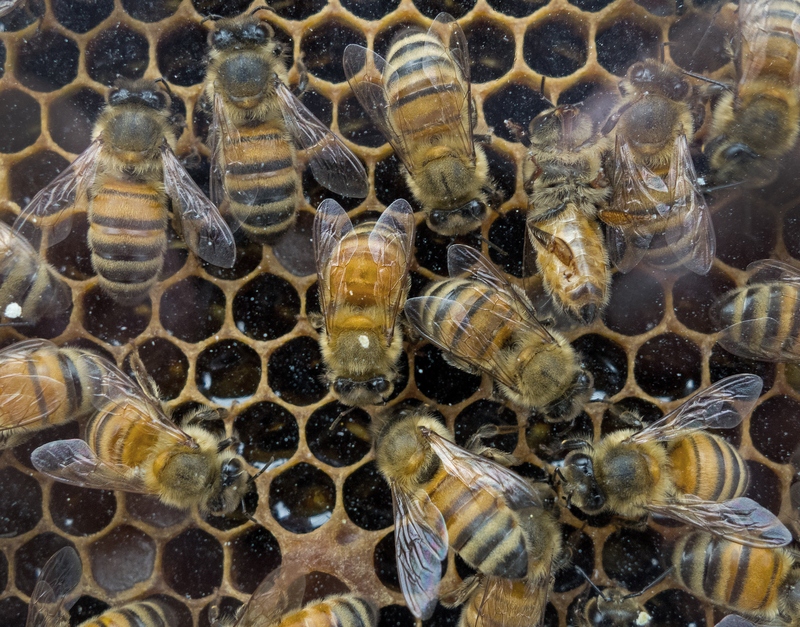 "Pollinators are struggling," Holdren said in a blog post, citing a new federal survey that found beekeepers lost more than 40 percent of their colonies last year, although they later recovered by dividing surviving hives. He also said the number of monarch butterflies that spend the winter in Mexico's forests is down by 90 percent or more over the past two decades, so the U.S. government is working with Mexico to expand monarch habitat in the southern part of that country. Why are America's bee colonies dying? The plan is not just for the Department of Interior, which has vast areas of land under its control. Agencies that wouldn't normally be thought of, such as Housing and Urban Development and the Department of Transportation, will have to include bee-friendly landscaping on their properties and in grant-making. "Here, we can do a lot for bees, and other pollinators," University of Maryland entomology professor Dennis vanEnglesdorp, who led the federal bee study that found last year's large loss. "This I think is something to get excited and hopeful about. There is really only one hope for bees and it's to make sure they spend a good part of the year in safe healthy environments. The apparent scarcity of these areas is what's worrying. This could change that." "From my perspective, it's a wake-up call," Bromenshenk wrote in an email. "Pollinators need safe havens, with adequate quantities of high-quality resources for food and habitat, relatively free from toxic chemicals, and that includes pollutants as well as pesticides and other agricultural chemicals." "They are not taking bold enough action; there's a recognition that there is a crisis," said Lori Ann Burd, environmental health director for the advocacy group Center for Biological Diversity. She said the bees cannot wait, comparing more studies on neonicotinoids to going to a second and third mechanic when you've been told the brakes are shot. Lessening "the effects of pesticides on bees is a priority for the federal government, as both bee pollination and insect control are essential to the success of agriculture," the report said.